Check our facebook page at www.facebook.com/freshlocaloutlet for daily deals, special events and produce availability. Remember we pass big savings to you so you are paying Direct Farm Prices. These prices are lower than big box stores, farmers’ markets and retailers in Calgary, AB. 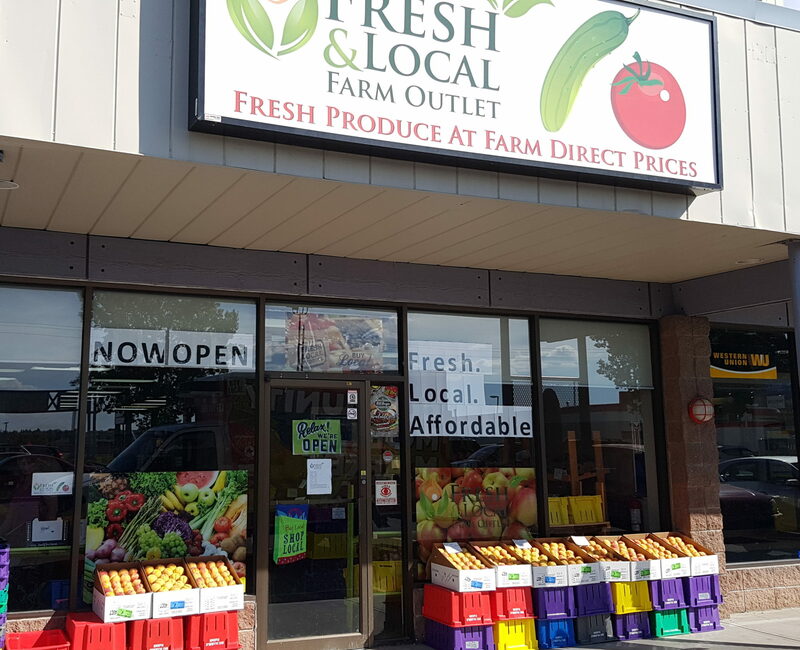 The Fresh & Local Farm Outlet is an ideal shopping destination for restaurants, fruit canners, family reunions, Stampede Parties, and schools who want to Buy Local, at Farm Direct Pricing.